Gram has sent Penny a doll. Penny loves her new doll, but struggles to figure out her new doll’s name. 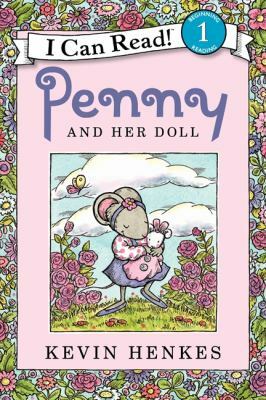 Penny is great little character (true confessions: I have a stuffed Penny that I love to pieces), and I’m fearful that we may have seen the end of her since Penny and Her Marble was published nearly two years ago. What works so wonderfully in the Penny series, in my opinion, are Henkes’s illustrations. His mice are so expressive that I even detect a hint of a side-eye from Mama when talk about her favorite weed. (Spoiler alert: Mama does not have a favorite weed.) It’s such a great asset to aide comprehension since the word difficulty is higher. The book is told in three chapters which makes it more than manageable for a reader to do a chapter a night, or would even work as a family read-aloud. Definitely a recommended purchase for all libraries; please write/publish more Penny books!